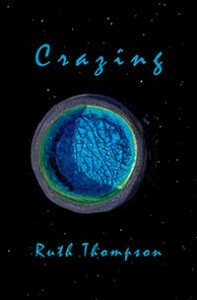 CRAZING 2015 $13.00 ($15.50 Canada) Paperback • 5.5” x 8.5” 52 pages, Poetry ISBN 978-0-991395262 Indiebound Amazon Powell’s “My body and the earth’s body are one,” Thompson says in her video “Ruth Thompson Talks About Her Work.” These two threads – the poet’s “crazing” body and the dying body of earth – interweave in Crazing. Here Thompson takes us through grief, elegy, memory, and delight – finding even her own mental cracks and the drought-stricken “delaminating” earth transformed by “laughter’s fire.” “See the glaze crack?/And the glazed eyes craze? // Yes. This. It’s me.” “Who are you and what do you love?” In this book, Thompson answers with poem after poem, despite loss of memory and the earth’s “seepage toward empty:” “this, this, this, this….” “Ruth Thompson responds with extraordinary grace and playfulness to the scattering of her mental and physical abilities in old age, the “crazing” of the glaze that gives the vessel its character, the cracks in the body’s shell from which the spirit emerges like a baby chick. She mourns not for herself but for lost tree species, droughts, and future generations who may “die thirsty, telling stories of our green shade.” Her acceptance of her personal body’s limitations shows us a humbler, more sustainable way to inhabit the body of Mother Earth.” Jendi Reiter, author of Bullies in Love and Two Natures. “Ruth Thompson’s new book Crazing sings with beauty, loss, and hope. Her poems boom and soar, full of movement and sensory experience caught in gorgeous, chewable language. Some poets’ work can be read silently: but these pieces demand to be read out loud with open throat, shoulders back, and feet ready to dance. Haul your poetry shorts on and get ready for the goose-bumps up and down your legs!” Sandra Hunter, author of Losing Touch, Tripwires, and Small Change. 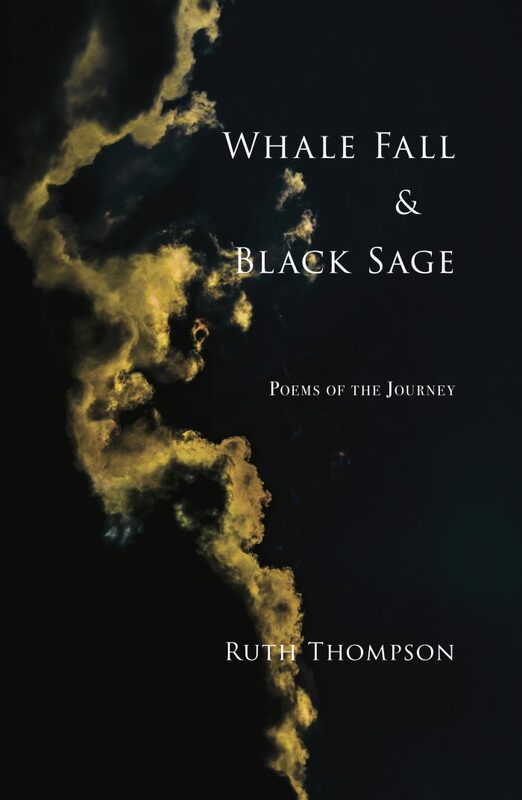 “Ruth Thompson’s expansive voice is equally attuned to the swamp of the earth and to the ghost-filled haunts of the spirit worlds this rich collection embodies. Thompson’s range of reference – from Buddhist ghosts to Grimm fairy tales to Sumerian and Greek goddesses to personal and ancestral tales and legends – is wide and knowing, yet always transformed by a lived and experienced imagination, in a language that is wistful in its laments, sensual in its celebrations. These courageous poems journey the dark and beautiful mysteries and bravely offer, in a lyric that is fiercely wild and refreshingly independent, deeply earned wisdoms.” Philip Terman, author of The Torah Garden and many other books. “Among these brave poems, two stand out— for their beautifully placed, speakable cadences, their light touch, their transcendent vision. In ‘Journeying West’ the pioneer women are purged of the appurtenances of the old life until, empty, they come to stand before the new life’s open sea. For ‘The White Queen,’ memory loss circles, meanders, stops, starts, becomes a via negativa leading away from the merely actual of memory and desire to imagination’s new world of the freely possible – which must appear to the reader, still burdened with memory, like the White Queen herself, just ‘silly and confused and showering / silver hairpins.’” Irving Feldman author of Collected Poems, 1954-2004 and many other books. \”Woman With Crows is an antidote to fear.” Jendi Reiter, author of Bullies in Love. 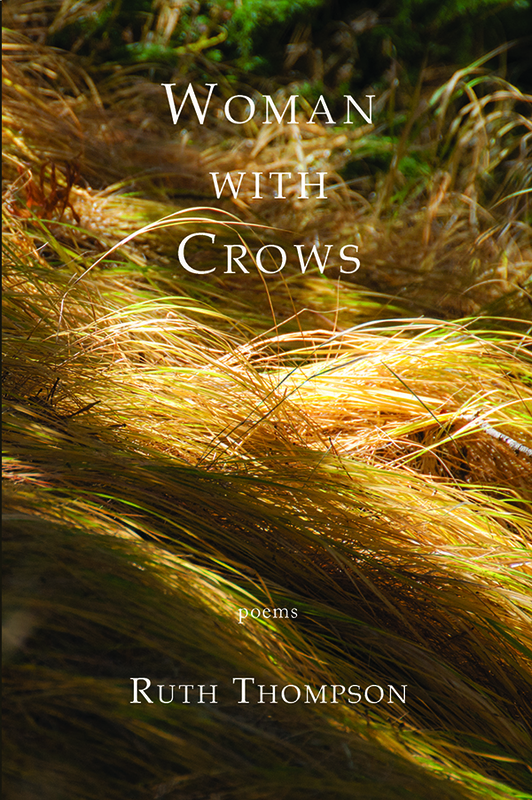 Ruth Thompson writes: “Woman With Crows explored my own past of “hungry ghosts” and escape from a long abusive marriage. It ends in joy for the aging body, with the Fool-Crone “dancing what she does not know to dance.” It was a finalist for the AROHO “To the Lighthouse” Prize and includes poems that won the New Millennium Writings and Harpur Palate awards.” You can buy Woman With Crows through Powell’s, IndieBound , Amazon or barnesandnoble, or order from your local bookstore. Saddle Road Press books are distributed nationally and internationally by Ingram. 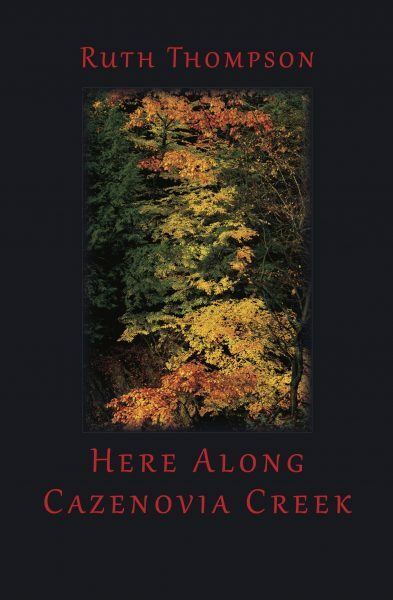 HERE ALONG CAZENOVIA CREEK At once earthy and full of spirit and mystery, this chapbook from award-winning poet Ruth Thompson celebrates a vivid cycle of the seasons in the hill country of western New York. It includes “Fat Time,” which won the New Millennium Writings Award in 2007. Here Along Cazenovia Creek celebrates the turning seasons in the hill country of western New York. It was the basis for “Dancing the Seasons,” a performance of dance and poetry with the great Japanese dancer Shizuno Nasu. You can buy Here Along Cazenovia Creek through IndieBound, Amazon, Powell’s or barnesandnoble. or order from your local bookstore. Saddle Road Press books are distributed nationally and internationally by Ingram.